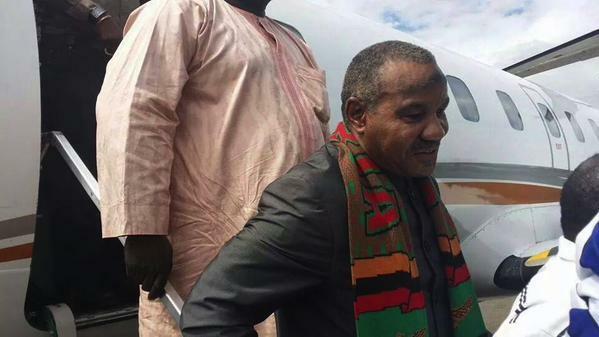 ZAMBIA – The remains of former Vice President of the Republic of Zambia, Hon. Lupando Mwape will be repatriated to Zambia on Friday 25th January 2019. Zambia’s High Commissioner to South Africa, His Excellency Emmanuel Mwamba, stated that processes and logistics regarding the repatriation of the remains were complete. He said the body will arrive on Friday in Zambia aboard South African Airways at 15hrs. The body will be accompanied by the widow, Mrs Happy Prisca Mwenya Mwape and Mr. Mwamba. President Edgar Lungu has declared a 3-day period of national mourning that is expected to begin once the body arrives in Zambia. Hon. Mwape served as Vice-President of Zambia from 2004 to 2006 under President Levy Mwanawasa. He also served as Zambia’s Ambassador to the People’s Republic of China. Meanwhile, Mr. Mwamba has also disclosed that Zambians living in South Africa will hold a memorial service for Hon. Lupando Mwape on Thursday,24th January 2019 at 17hrs. He said the service will be held at St Martin de Porres Catholic Church Est in Craighall Park. Hon. Lupando Mwape died on Monday at Avrywp Medical Centre in Johannesburg.